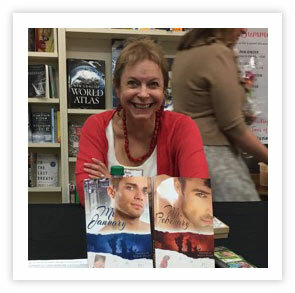 Award-winning author Ann Roth's newest series is Heroes of Rogue Valley: Calendar Guys series. Twelve months, 12 gorgeous firefighter heroes. For the latest contests, freebies, news and book publication dates, sign up for Ann's newsletter at http://www.annroth.net/. For a list of Ann's novels, visit www.annroth.net. Please enter your email address and click the Follow button to follow Ann Roth! Firefighter Hank Gardener harbors a heavy secret and crushing guilt —he failed to contain the fire that gutted Deanna Oliver's home and damaged the bed & breakfast she is painstakingly renovating. Can he atone for his mistake and help her rebuild out of the ashes, or will his secret destroy them both?